It has become common today to get a home valuation on the internet. As a matter of fact, one of the driving factors behind the success of Zillow has been their customized home valuation which they have labeled as the Zestimate. Thousands of people every day put in their homes address and receive an automated opinion of value…but are Zillow's home valuations accurate? Anytime you have a computer figure out your home’s value, that is called an AVM or Automated Valuation Model. The first two words in AVM are very logical, the one that you should be paying attention to is the “model”. The way an AVMs automatically generates a valuation for your property is using an algorithm. An algorithm (for this discussion) is a set of data points that are weighed by a computer to give an educated “guess” at an outcome. There are thousands of different AVM’s on the market today, used by a variety of industries. We have already discussed Zillows AVM, but many banks either have built or subscribe to others too. Core Logic has a very popular AVM as does RPR. These Automated Valuation Models are leased to banks, insurance companies, mortgage companies, financial institutions, investment firms and just about anyone willing to pay for them. Mortgage companies for example, may use an AVM if you are refinancing your home to make sure that what the appraiser said was the value of your home, is within the range of their AVM. If you have ever financed a home and been forced by the mortgage company to have a second appraisal, that was because the value fell outside of what their AVM came up with. In most instances, AVMs do not have every single home that has recently sold. The companies that build AVM’s (we will use Zillow as an example) acquires there data from different sources. Zillow mostly relies on real estate agents or brokers to input their active listings into their system – and many real estate professionals don’t do that. In some instances (becoming more popular with the breakup of Zillow and Listhub) Real Estate Brokers or Agents can set up direct data feeds to Zillow, which sends them all of the new listings. In some instances the local MLS directly syndicates all listings to Zillow, but that is not very common. You can read in the disclaimer in Zillow that the accuracies of their data can vary dramatically depending on the area and agreements they currently have. Also, it is worth noting, that Zillow does subscribe to companies that acquire local Clerk of Court data to attempt to correlate the active listings they get manually with sold data when they sell. At the end of the day, they still have a limited set of data points (especially on sold properties) and in no way have every active listing in the country. When an AVM does a valuation, they usually take into consideration the recent comparable sold properties (comps) that are in close proximity to the home it is valuating. In many areas, that is a very flawed process. In areas that vary in value from street to street or have new construction the system can easily pick the incorrect properties for comps. It gets even worse if they have limited real estate sales data or limited data points on the data they have. Sometimes they will use properties that have absolutely no relevance to the subject property. 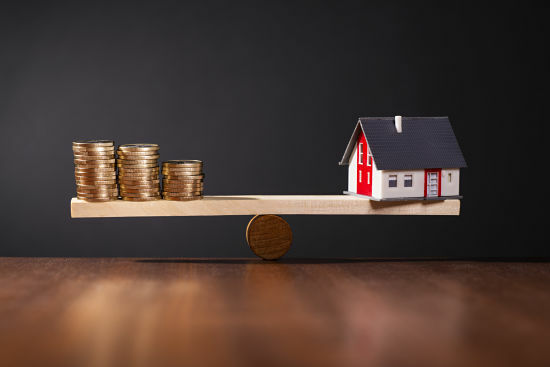 If you have a home that was recently remodeled or has a pool where the other homes generally don’t, or other features that would add value specifically to your home, these factors are generally not considered when valuating your home. Who Has That Real Estate Data? The local MLS or Multiple Listing Service is a system where all local real estate agents input their listings and sold data. This is by far the most accurate data set of real estate. Zillow and other data aggregators have been working for years to forge relationships with local MLSs (yes, each one is separately controlled) in an effort to get the most accurate listing data. Even though many MLS’s do syndicate Active Real Estate Listings, they keep the Sold Real Estate Date close to the vest. That Sold Data is a critical data point in coming up with an accurate valuation on your home. *NOTE Sold data has recently been approved to be syndicated by NAR (National Association of REALTORS) so some of this may change in the future. There is also other disrupting factors currently taking place, such as the Realty Alliances new project called Upstream---which attempts to give the local brokers more control over where their listings are syndicated. There is a huge battle (with tons of money flowing) on the acquisition of accurate real estate data. In many of the local Clerk of Courts office throughout the country, they make recent real estate transactions available on the internet. This can be a great resource for acquiring the Sale Price of a recently sold property. The major challenge with the data from the local Clerk of Court is that they have a very limited set of data points on each property. Needless to say, each Clerk of Court has different data points on home sales, but the most common real estate sales information they have is usually only the buyer, the seller, the mortgage amount, tax information and the sales price. If you are looking to see how many bathrooms in the home, if they have a nice kitchen or a garage or many other pertinent things relevant to a home’s current value--- you will need to look somewhere else. We will be continuing the discussion on home valuations in our next article, but BY FAR, the most accurate way to get your homes current value is to request a home valuation from someone with direct access to the MLS, someone that understands the local real estate trends and someone who has intimate knowledge of your home such as the living and total square footage, number of bedrooms and baths and other amenities. As previously mentioned, we will continue the details on accurate home valuations next week—but if you need your homes current value today and want it to be accurate --- click the next link – How Much Is My Home In Hood County Worth?